The Group Accounts add-on for Restrict Content Pro lets you offer group accounts on your membership site. Group accounts, often referred to as umbrella memberships, allows group owners to invite other members to the site to share the same subscription. The group owner can add, remove, and manage the members of the group. Billing is all handled by the group owner, meaning group members never need to enter any billing details or worry about the status of their accounts. The owner's membership status controls the status of the group members. If the membership expires, all group members also expire. This add-on requires a Professional or Ultimate license for Restrict Content Pro. Download and install the plugin from the product's page here, or from your account dashboard here. If you need help installing the plugin, refer to the WordPress plugin installation documentation. Group Accounts must be enabled on the subscription level(s) whose members you want to have group seats with their memberships. To do that, go to Restrict > Subscription Levels, and add a new subscription level or edit an existing one. Enable the Allow Group Account option, specify the number of Group Seats allowed with the subscription level, and save the settings. Next, you need to configure the email settings. 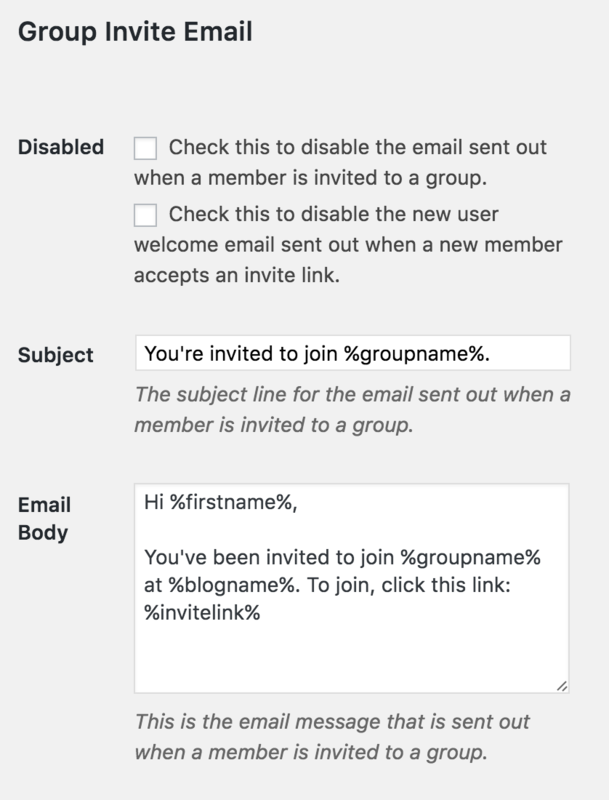 To do that, go to Restrict > Settings > Emails and compose an email in the Group Invite Email section. %groupname% - displays the name of the group the person is being invited to. %groupdesc% - displays the description of the group the person is being invited to. %invitelink% - displays the invitation link the person being invited will click to join the group. Next, you need to create a page where group owners can manage their groups. To do that, go to Pages > Add New, create a new page, add the [rcp_group_dashboard] shortcode to the page, and publish the page. 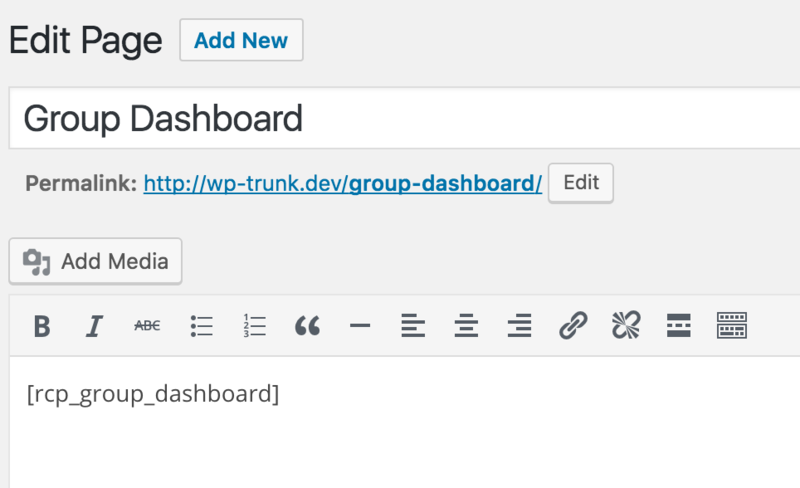 Optionally, if you want more control over the items that show on the group dashboard, you can use the separate shortcodes included. More on that here.